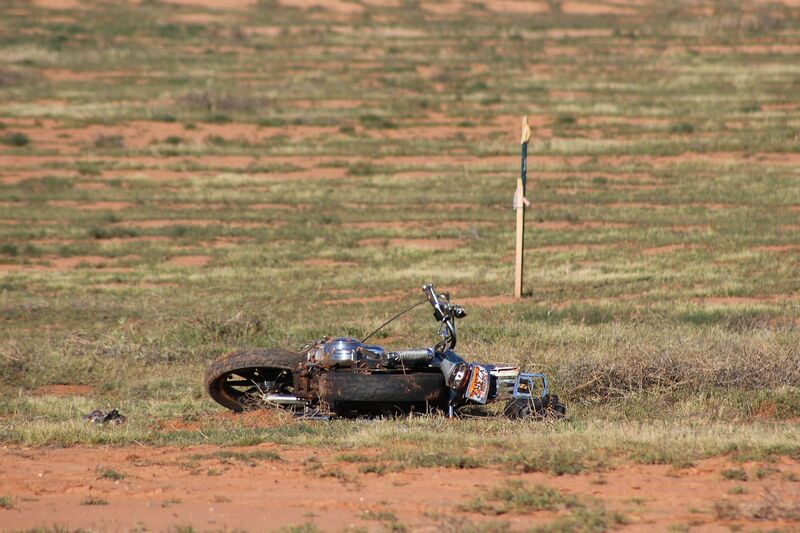 WASHINGTON CITY — A motorcyclist missed a right-angle turn and crashed into a field before dawn Saturday and lay there injured for over four hours before a passerby saw him and called for help. 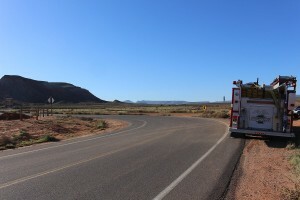 The rider, a man in his early 20s, was headed west on Warner Valley Road in Washington, just past state Route 7 (Southern Parkway), when he failed to make a right turn onto Washington Fields Road. Washington City Police and Fire departments responded to his aid as well as Gold Cross Ambulance. After medical evaluation, the man was transported to Dixie Regional Medical Center in St. George. The rider was not wearing a helmet, he said. No citations had been issued and no enforcement action taken, Kantor said, as the accident remained under investigation. No citation necessary. I know you all can come up with at least 3 violations but it’s not necessary. Quality policing over quantity of citations. Failure to maintain his lane? Vehicle goes off the road into a ditch? Taking out a fence? These are citations they LOVE to give! Bonus citation- he was in the ditch for 4 hours. You can add LOITERING to the list of offenses. I was thinking unlawful assembly (of one), or illegal trespassing, maybe animal endangerment (there could have been some of nature’s beasties in that field). They could always make a law mandating helmets, then charge him for not wearing one. Lol.. Notfunnybut it sorta was..
Well this is typical here with people like you driving around here. .so what you going to do keyboard tough guy when they don’t issue any citations ? H.A.V.E a nice day hiding behind YORE keyboard tough guy. Oh btw LOL ! For someone that only uses dots for a name, you sure don’t know how to use periods. I like that you use the same old comment over and over too. YOU’RE a one-hit wonder on jokes, but a serial offender on YOUR typos. Keep up the (not so great) work! So it sounds like this was one of YOUR friends? YOU’RE not usually trying to be the nice guy on these boards. By the way, you missed your period. You would think this guy has made this turn before….it’s a sharp turn. I am sorry he layed out for four hours before help arrived. He is obviously not very smart in the first place….no helmet…..not slowing down for a sharp turn he most likely has taken before. Perhaps in the future he will make better choices. I don’t suppose drugs or alcohol were a factor? Smart governments BANK ABRUPT TURNS so as to facilitate going around them at injudicious speeds. Around here they seem to (gleefully? ) do the opposite, preferring to CAUSE accidents to the unlawfully speedy by creating off-camber turning road surfaces. …. When Google Translate goes wrong? That’s kinda funny….no offense Alma but yore, just kidding, your comment left me with a huh? LMAO at the ‘yore’…you EOAK… Hahaha! As I read these comments I can’t help but to wonder where we went wrong. Hopefully the guy is OK. I wish him a speedy recovery. For the sake of freedom, I would hope our legislators never mandate the use of helmets. However, I sure couldn’t imagine ever riding without one – and wonder why others choose to. I hope this young man is alright, and that he chooses to protect his noggin’ in the future.